The story of Cinderella is an Italian folk tale originally published in 1634, although it was brought into popularity by the Brothers Grimm. It is the tale of a beautiful servant girl who, with the help of her fairy godmother, goes to the ball and meets her prince charming, all with the help of a magical glass slipper. Our beautiful Cinderella will visit you in her iconic blue gown and give your little princesses their very own magical princess makeover, just like her fairy godmother gave her. Cinderella is the perfect role model because she is kindhearted, independent, and hardworking. 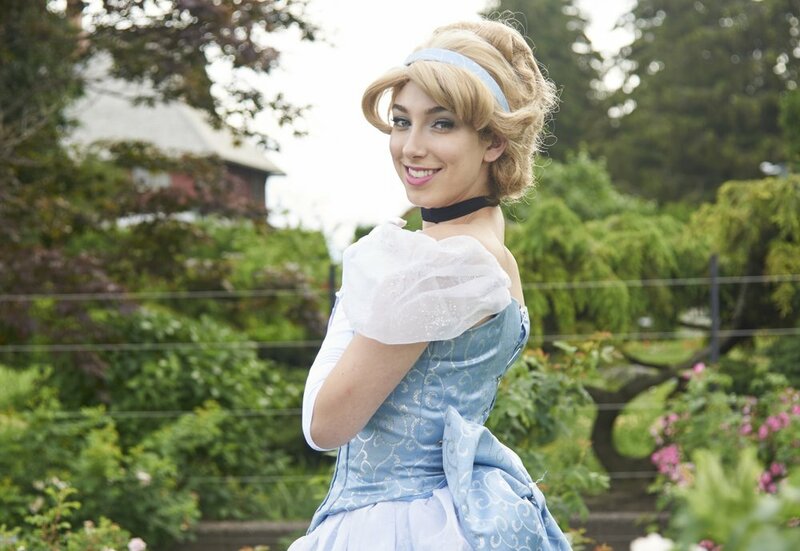 All the guests at your ball will be in awe when this fairytale character comes to visit: it will be as if she stepped right off the pages of your favourite storybook!